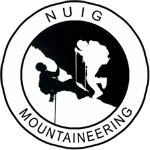 NUIGMC has been in existence since 1970, which makes it one of the oldest mountaineering clubs in Ireland (a.k.a UCGMC until 1998). 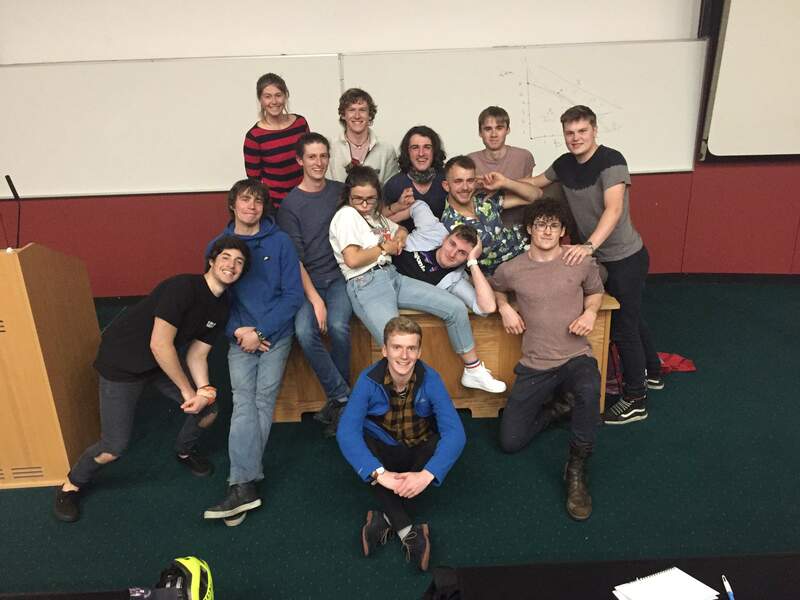 The club is one of the most popular in the college, and is currently one of the biggest with a membership of over 1000 people. Membership in the Club is open to ALL members of NUI, Galway; undergraduates, postgraduates, staff and alumni. This variety of membership gives the Club an interesting social mixture and a wide-ranging appeal. 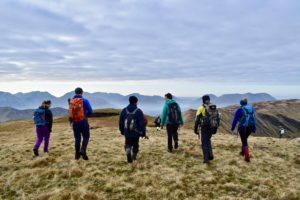 Each Sunday, up to 50 members of the Club get together and travel to various locations from the Burren to the Twelve Bens to Nephin and Achill. 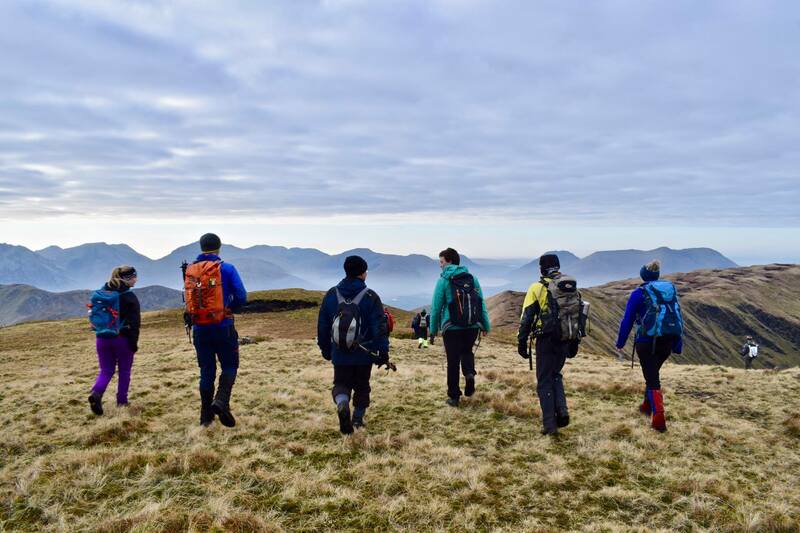 Every week we have 3 different hikes, each aimed at different levels of fitness and skill. We always try and pass on some knowledge about navigation or local history to our walkers. The Club runs climbing wall training sessions at our climbing wall here at NUI, Galway to help teach people the basics of climbing such as knot-tying and belaying. After someone have completed basic training, they are free to use the indoor wall when ever they want. When the weather is better, we organize outdoor climbing trips around to the Burren. Once every semester we organize a club trip to a different part of Ireland. We often travel to areas such as Kerry, Donegal, Wicklow, Down, Tipperary, Wales and even further afield such as scotland, wales and the lake district. These trips always fill the bus (53 seaters). We spend two days hiking or climbing before crashing for a social night and a sleep home on the bus. The club strive towards technical and winter mountaineering. For those members who are interested, we aim to train them in the basic skills here in Ireland before traveling further afield to Scotland, Wales or the Alps to practice their skills. We always try and mix the adventure side of the club with the social side. We have a social night every week where members of the club can meet up and relax, often in the company of free food! We organize regular house parties so you can always meet new people! We run regular evening talks throughout the year. The clubs run regular subsided training courses for it’s members. (SPA, MS2, REC’s). Our club members aim to have the highest level of skill and qualifications and we always support that. If you wish to ask questions about anything, or you just want to say hello, just go to our forum, and post up whatever you want there. You can also contact the committee by clicking here!